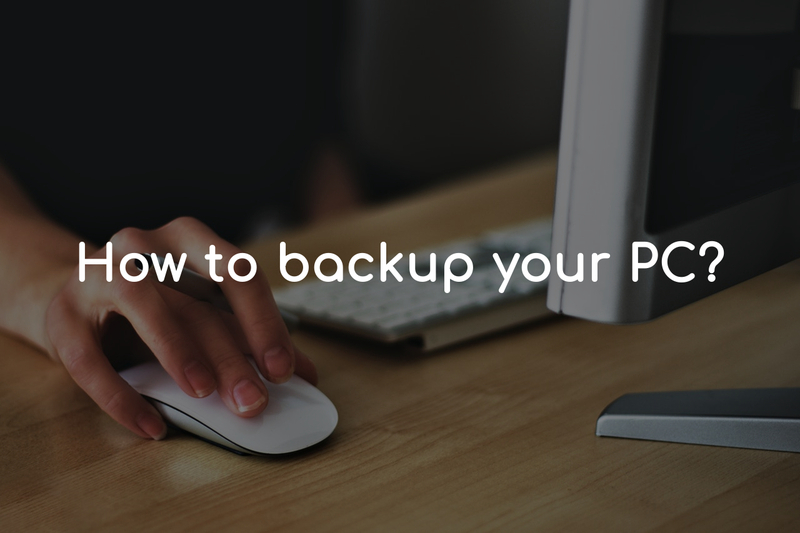 How to properly backup your Windows PC? A backup of your entire system is your best strategy against hardware failure, software issues, and malware that can not only damage your installation but more importantly corrupt your files. Now-a-day, virus attacked especially ransomware attack at its pick. Many people lose data due to the digital attack. Your computer might be a victim tomorrow, ransomware could hold your files hostage, or a software bug could delete your important files. Why it's important to take backups of your system device? If you wonder how often you should back up your data, just ask yourself. Because, whenever you make changes to files or add new files, you need to back up your files. It is a good practice to back up your files on a daily basis. If you are working on a critical project, you may want to back it up even more often. Files can accidentally be deleted or become corrupt. Viruses can corrupt or delete files. You may upgrade to a new computer and need to move your files. If you don't proactively create regular backups, you could end up losing important documents, irreplaceable photos, and custom configurations that you may have spent hours setting up. If you have an external hard drive, then you can use it as a backup drive. Windows operating system has its own backup feature, which generated a backup of your files, folders or drive. Try to get that file and occasionally save to your external hard drive or connect your drive to your computer and backup tool that will automatically backup your data. A bootable backup is a process to clone your primary hard drive. If tomorrow your hard drive will fail, you simply reboot from the clone. You'll get immediate access to not only all of your files but also all of the software you use including all of the settings and configuration. But, cloning is only useful if it has been updated recently. However, because it has to examine every file on your computer, it can take a while to create, and it is best not to use your computer while the clone is updating. Having a backup next to your local computer is a good start, but it still puts your data at risk. That's why cloud storage services are important. Instead of saving your data in your local hard drive, you can use cloud storage like Google Drive, Dropbox, Microsoft OneDrive, or other similar cloud storage service. After the initial setup forgot everything, the software will automatically keep your computer backed up from time to time, just need to turn it on and connected to the Internet. In case your hard drive crashed, you will get all your data online. But there is only one problem with cloud storage, only a few GBs for free. To back up your whole computer you need to pay for extra space. Only one back is not enough. You just need to think about where your files are and ensure you have multiple copies at all times. Ideally, those copies should be in more than one physical location.